Now it's October, it's time to start putting the patio furniture away and generally getting the garden ready for the cold weather that lies ahead of us. We always spend a full afternoon organising and sorting everything out, then you won't catch us out there again, unless it has snowed! If I leave the garden in its present state at the end of summer, I find it much harder in the spring to get everything looking fresh again for the summer ahead. So here are my top tips for getting the garden ready for Autumn. If you have planted annuals, it's now time to dig them up. You could re-plant your borders with winter bedding plants, but I don't tend to do this, because I don't like maintaining them in the cold and rain. It is nice to have a bit of colour though. Cut back any perennials to remove seed heads and to encourage fresh growth next year. Put the BBQ and Patio furniture away. We always put the patio furniture and BBQ in our shed rather than covering it up with those outdoor covers you can get. Unfortunately, it has taken quite a bit of a battering , with 2 robust pre-schoolers playing in the garden all summer, so we need to get some of that cut to size acrylic you can buy like these perspex sheets. Even the window that isn't cracked is looking a bit yellow and messy, so we'll probably replace that too. This is a job that is going to need doing pretty quickly, before our furniture starts to look weathered. Now is the time to remove any moss or thatch that could be spoiling the look of your garden. You can also improve the drainage by digging deep holes with a garden fork across the entire area. We tend to pay to get our garden treated in the Autumn, but you can buy Autumn feed quite readily from most garden centres. If you need new turf, now is the time to lay it. I say every year that we need some Autumn and Winter colour in our garden, but we don't want the de-heading that comes with border plants. I always plan to visit the garden centre at least once or twice to see what plants are available that actually have colour over Winter. I haven't managed this yet, but I'm determined to make the effort, this year. We often find that we have big gaps once the annuals have been lifted, so it would be nice to get some Autumn colour in there. And that's pretty much it. We obviously give a good sweep round and check the hose pipe is secure and then we leave it. 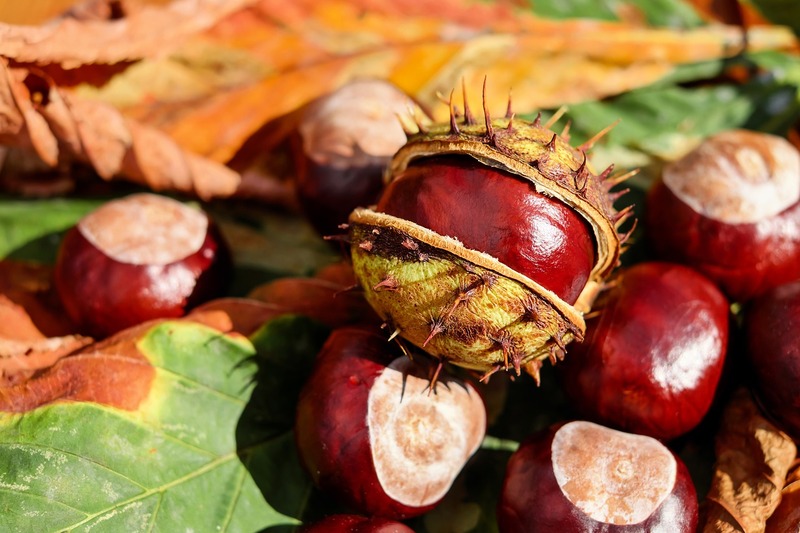 Do you prepare your garden for Autumn? I hope you can take something from my amateur green fingers.